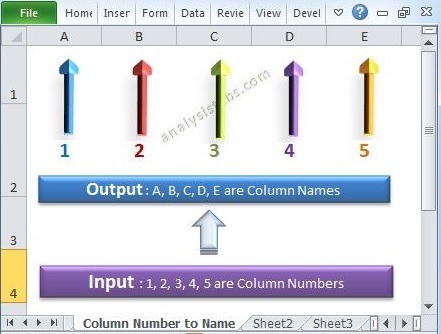 When we are working with workbooks and worksheets, some times we may required to Get Active Workbook or Worksheet Name, Path of the workbook to know the directory, FullName(Complete path) of the workbook to know the location of the workbook, selected Range address in active sheet or selected Cell address in active sheet using Excel VBA. 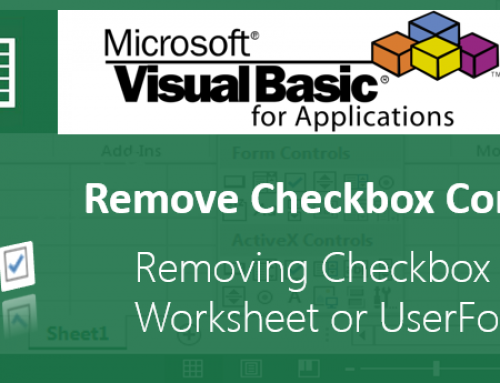 You can get Active Workbook Or Worksheet Name by using Name property of the workbook or worksheet. 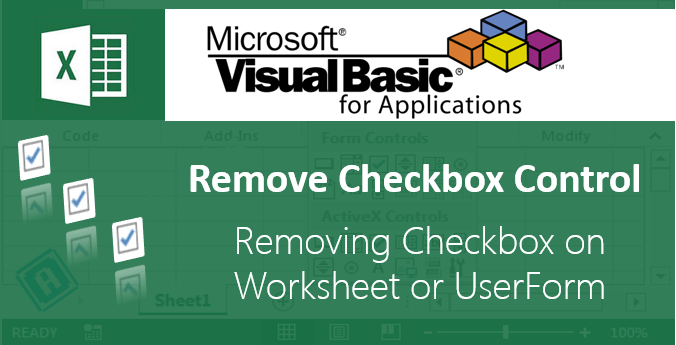 MsgBox ActiveWorkbook.Name, vbInformation, "Workbook Name"
You can use ActiveWorkbook property to return the active workbook Path.You can use the following code to Get Active Workbook Path to know the workbook directory. 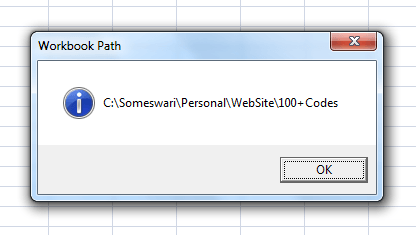 MsgBox ActiveWorkbook.Path, vbInformation, "Workbook Path"
You can use ActiveWorkbook property to return the active workbook FullName. 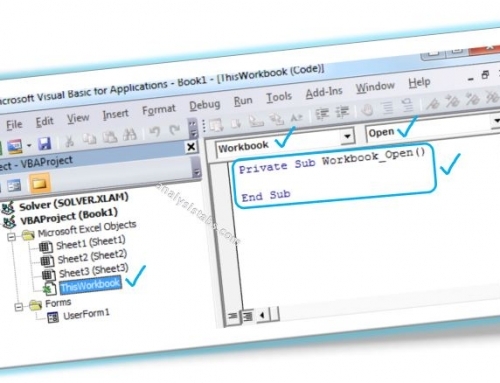 You can use the following code to get Active Workbook FullName to know the location of workbook. 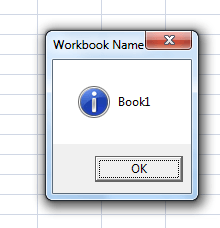 MsgBox ActiveWorkbook.FullName, vbInformation, "Workbook Complete Path"
You can use ActiveSheet property to return the ActiveSheet Name. 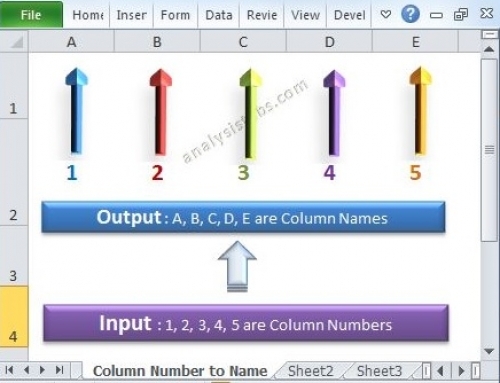 You can use the following code to get Active Worksheet Name. 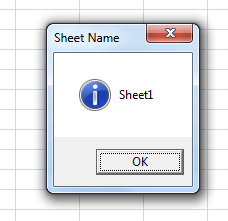 MsgBox ActiveSheet.Name, vbInformation, "Active Sheet Name"
You can use Address property of the selected range(Selection Method). You can use the following code to get the selected range address in active sheet. 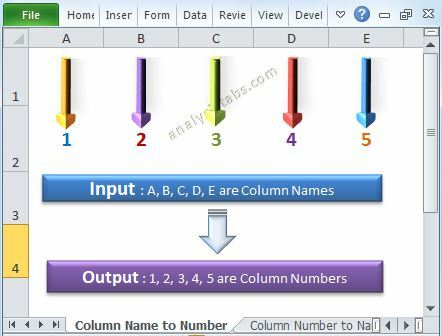 MsgBox MyRange, vbInformation, "Range Address"
MsgBox Selection.Address, vbInformation, "Range Address"
You can use Address property of the selected cell(Selection Method). 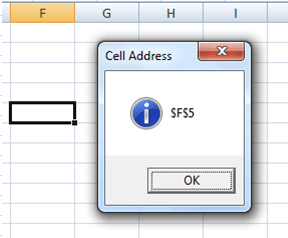 By using the following code you can get the selected cell address in active sheet. MsgBox MyCell, vbInformation, "Cell Address"
MsgBox Selection.Address, vbInformation, "Cell Address"